Right now, you can get a coupon for a FREE 20 oz. bottle of Coke Zero. 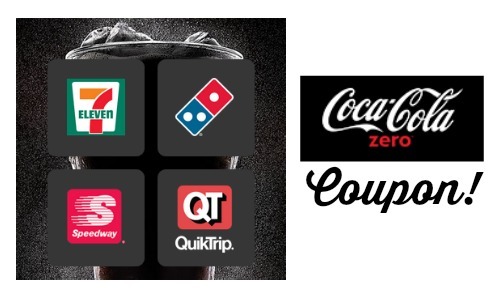 You can select which store you prefer to use the coupon at including 7-Eleven, Domino’s, Speedway, or QuikTrip! The coupon will be sent via e-mail and is valid for a limited time. Enter you birth date and real e-mail address to get this coupon.